Would you buy an HTC 10-like Google Nexus phone? Last month, a report from China had it that HTC may have signed an agreement with Google to be the exclusive manufacturer of Nexus devices for the next 3 years. We also heard that HTC could make two Nexus smartphones this year, one of which might come with some sort of 3D Touch-like functionality. Yesterday, renowned leakster Evan Blass (aka @evleaks) chimed in to confirm the existence of two Nexus devices that HTC is allegedly building. While HTC is the maker of the Nexus 9 tablet (released in 2014, and recently discontinued from Google Store - though still available directly from HTC), the company hasn't worked with Google to develop a Nexus phone since the original Nexus One from 2010. So we're definitely looking forward to seeing what will come out of the new HTC-Google collaboration. Traditionally, Nexus flagship phones have resembled (at least to some extent) other devices commercialized by their makers under their own brand. The Nexus 6P shares some similarities with the Huawei Mate 8, the Nexus 6 is like a larger and more powerful version of the Motorola Moto X (2014), the Nexus 5 is related to the LG G2, and so on. 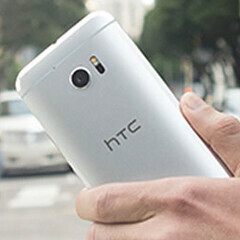 Thus, if this year's Nexus flagship is manufactured by HTC, chances are that it's going to have some HTC 10 DNA in it. Already available to pre-order (before hitting shelves in early May), the HTC 10 is one of the best smartphones released by HTC in recent years - we like its design and build quality, and we're more than happy with its overall performance. For a closer look at what the handset is all about, check out our HTC 10 review. Since we've already seen what HTC's current flagship smartphone is capable of, we want to find out if you'd be interested in buying an HTC 10-like Google Nexus smartphone later this year - so cast your votes in the poll below! Sure enough, we can't really know if (or to what degree) the next Nexus flagship will resemble the HTC 10, so this is a hypothetical (though certainly plausible) situation. Remove the unsymmetrical home button and iPhone-like top bezel and absolutely. I know a lot of people could live without wireless charging but for me it's one of those features I use *every* day which is more than I can say for the camera or even the phone-part of the phone. Why would you want to charge your phone "in a special way" (read wireless charging) if you dont use it as a phone??? I would just buy HTC 10 only if they release a Google Play edition of the same. Will happily swap it with my S7E. Htc 10 screen to body ratio is 71% while iphone 6s is 65%. Vince you need glasses. HTC 10 destroy all apple product in camera departement. Its beat the S7 but get beaten depending of the lightning ect. Only G5 beat it all around. So sorry but you need glasses. HTC 10 is meh.... I would prefer some other company. Except LG and HTC. I wonder what a Sony Nexus would look like. Amazing and waterproof like all sony flagships. I would love a Sony made nexus because it wouldn't have such a high price like all high-end sony smartphones tend to have. I want an S7 nexus. I really do! Seriously... I do. I'd pay 799 for a 128gb version. Right now. Bring on a Nexus 5P!!! Be it made by Samsung HTC or LG. Just want Qualcomm quick charge 2. 0 and quality. I think the HTC 10 would make a great nexus in my opinion. It has a great camera and great features. Except for the edge serves no purpose at all. Text & images are warped over the sides, bad reflections etc etc. I had one. Not a good experience. Had to go back to a flat panel. Like the Nexus 9? No thanks. If they could do it without a loss in sound or camera quality, and could guarantee the updates would continue for 3 years, I would do it. If the screen is bigger. Replace the limited-a$$ stock Android with Cyanogen OS 13, then it would be worth consideration, but still won't buy it. Not downgrading in screen size from 5.5" and my next Phablet must have a pen digitizer. The HTC Nexus want look like the HTC 10 anyway so what kind of question is this? My answer is NO! because I don't want the next Nexus to be a look alike. I would buy an HTC 10-based Nexus in a New York minute. I was considering buying an HTC 10, but I prefer fast updates, so the Nexus would be great.